Happy day after Independence Day! HOT DAMN BO! 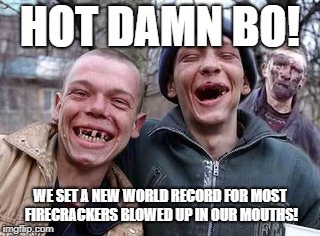 WE SET A NEW WORLD RECORD FOR MOST FIRECRACKERS BLOWED UP IN OUR MOUTHS!